This page contains a directory of all obtainable gear for each DLC character in Injustice 2. Click on a character to go to its gear guide page for a complete list of recommended gear that can be equipped. For more Injustice 2 content, head over to our Injustice 2 top page. One of the new features in the franchise is having a Gear system. 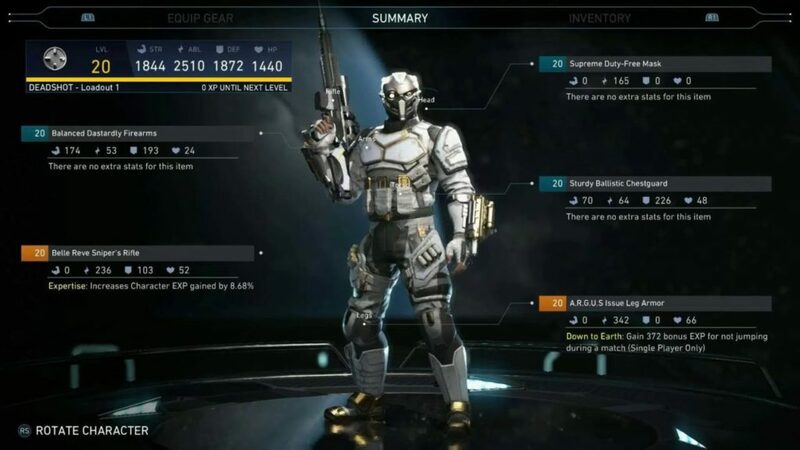 With the Gear system, you’ll be able to not only customize your character’s looks but also increase the stats of your character. In the equipment system, you have at least five parts to play around with. These parts include the head/cape, torso, greaves, gauntlets, and accessories. This article will serve as a gear guide for Injustice 2 and a directory to be able to pinpoint to certain characters’ gears. Also, each gear has two “slots” for you to add additional upgrades. These upgrades can enhance specific attacks or make your character more focused on a single playing style. However, there are some upgrades that are so powerful that they take up two slots. Also take note, there’s also the set bonus which increases every time your equip an armor from the same set.